Those who are obsessed with powder will understand exactly what the term “snow blind” means. 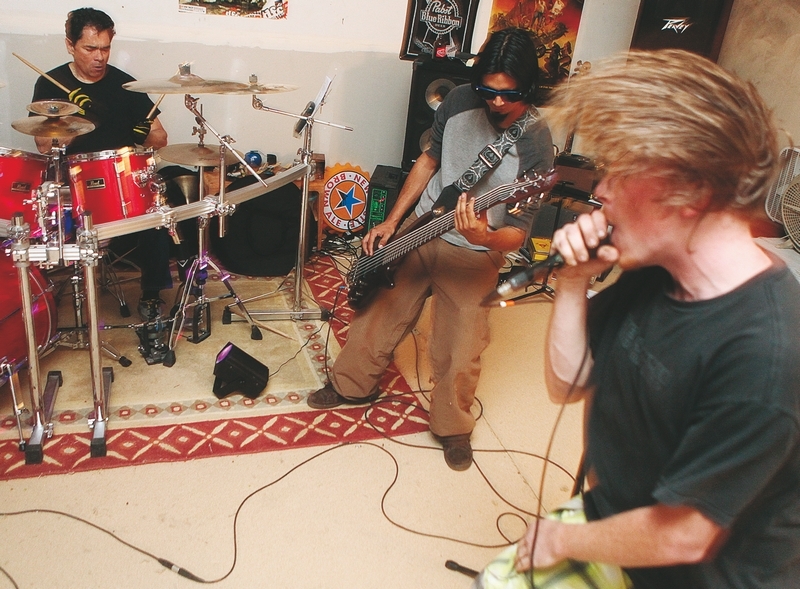 “It’s the idea that you’d do most anything to get out on a powder day – call in sick, lie to your wife or girlfriend, neglect to feed the cat, forget to take the dog out – all because you can’t see beyond the snow … you’re snow blind,” said Randy Martinez, drummer for local band Snowblind. The band will perform tonight at Brush Creek Saloon in Eagle and Saturday night at Loaded Joe’s in Avon. Both shows are free. The five-member metal/rock band has been performing together for around nine months now. They found one another via classified newspaper ads. Long story short, Brummett became the band’s singer and Marvin Troxel moved from the Front Range to be the band’s bass player. Snowblind plays mostly cover songs from ’80s and ’90s-era hair bands –Poison, Pantera, Guns N’ Roses, Metallica and the like. Chrzan has played in his share of bands, and he’s digging being in a band that plays almost entirely cover songs. Since the band got together, it’s played around 20 or so shows. It has a standing monthly gig at the Brush Creek Saloon in Eagle. Expect to hear everything from Pantera’s “Cowboys From Hell” to “Hotel California” by the Eagles. “We pretty much stick to the genres rock, hard rock and metal,” Chrzan said. So do the band members rock big hair and tight pants during their shows? “One of the girls was trying to get me to wear purple leather pants, but I just couldn’t do it,” Chrzan said.